After a decent release in Stateside, The 33 arrives in Irish and UK cinemas this Friday. n 2010, the eyes of the world turned to Chile, where 33 miners had been buried alive by the catastrophic explosion and collapse of a 100-year-old gold and copper mine. Over the next 69 days, an international team worked night and day in a desperate attempt to rescue the trapped men as their families and friends, as well as millions of people globally, waited and watched anxiously for any sign of hope. The international cast is led by Antonio Banderas, Rodrigo Santoro, Academy Award winner Juliette Binoche (“The English Patient”), James Brolin, and Lou Diamond Phillips, with Bob Gunton and Gabriel Byrne. 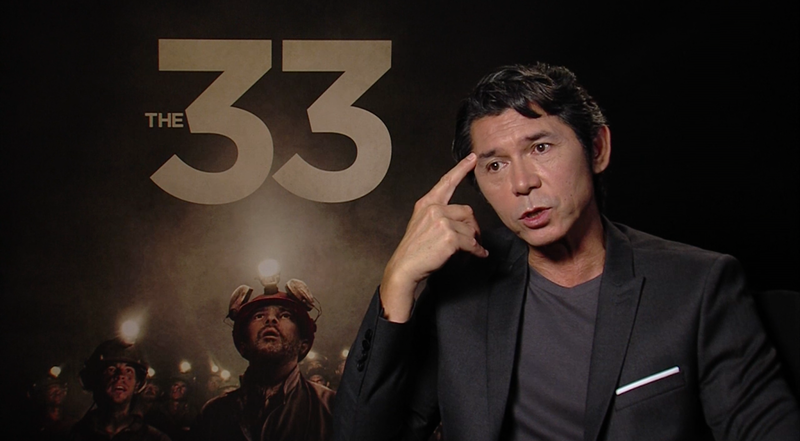 Check out an exclusive interview with Lou Diamond Phillips below who has some gives some great insight into the movie, his performance and much more.